ioChem-BD is a platform created by researchers at ICIQ and URV. This innovative tool aims to parse, easily organise and publish the results of computational chemistry research projects. Moreover, because ioChem-BD is an open-access initiative, it allows researchers to further analyse data published by their peers, or start new studies based on previously existing work. Researchers can request their free account here. 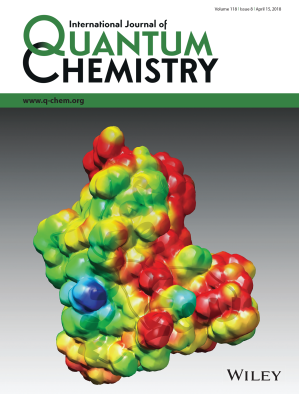 Now, ioChem-BD has just reached a great milestone – the International Journal of Quantum Chemistry, published by Wiley, now lists our open-access platform as one of the solutions to publish computational data about molecules and materials. In their new submission guidelines, the International Journal of Quantum Chemistry highlights the versatility of ioChem-BD to archive and store data generated with a variety of simulation packages. Atomistic computational simulations constitute an expanding field. The foundations of the powerful programmes used to understand and predict the nature of materials and the chemical processes at the most intimate level were recognised by the Nobel Prizes in 1998 and 2013. Nowadays, more than a third of all published scientific papers (Chemistry, Materials Science, Physics and, to less extent, Biochemistry) include theoretical or computational studies, which account for about 30% of the High Performance Computing (HPC) worldwide. Furthermore, the job market for computer scientists is expected to grow around 15% in the next five years. The step forward that the International Journal of Quantum Chemistry and ioChem-BD are taking will contribute to a faster advancement of knowledge in chemistry. Publishing computational results in this cutting-edge platform will make access to data –usually published in endless supporting information static documents– much easier. Besides, because everything published in ioChem-BD is open-data, this will facilitate the addition of future functionalities and further data manipulation and analyses. If you wish to run your own instance of ioChem-BD, you may request your free copy here. If, instead, you prefer to run an account in our servers at the Barcelona Supercomputing Center (BCS-CNS), you can apply for a free user account using this form. Shoulei Wang: we have a new doctor at the ICIQ! Congratulations Dr. Gaikwad on successfully defending your Thesis!